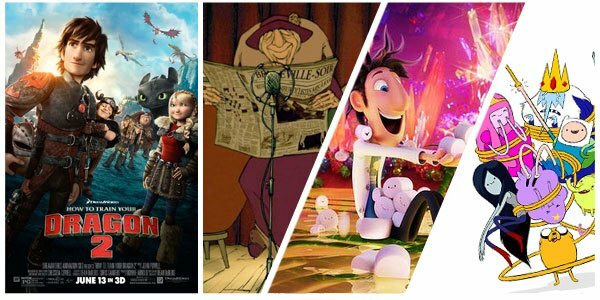 Looking to Jersey Boys, 22 Jump Street and How to Train Your Dragon 2 for inspiration, we've pulled together a selection of toe-tapping musicals, TV-inspired movies, and mesmerizing animation. The true and music-laced story of the beloved 1960s rock group The Four Seasons is unfolded, from their roots in the dangerous side of New Jersey to the heights of fame. John Lloyd Young, Erich Bergen, Michael Lomenda, and Vincent Piazza star; Clint Eastwood directs. Read our review here. If this adaptation of a jukebox musical has you hankering for more song and dance numbers, we've got a something for every taste. Whether you like your musicals old-school and cheeky, campy and comedic, or drama-filled and dark, we've got you covered. Gentlemen Prefer Blondes (1953) Jane Russell and Marilyn Monroe star in this Howard Hawks musical comedy as best friends/singers Dorothy Shaw and Lorelei Lee, a brainy brunette and vivacious blonde. The two look for love, but mostly find trouble in this classic that includes Monroe's iconic performance of "Diamonds are a Girl's Best Friend." Charles Coburn, Tommy Noonan and Elliot Reid co-star; Howard Hawks directs. Cry-Baby (1990) Johnny Depp headlines this outrageous John Waters musical comedy. 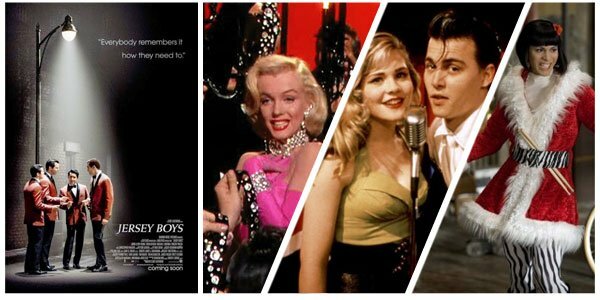 Its story centers on the love that blooms between a good girl (Amy Locane) and a bad boy (Depp) in a 1950s Baltimore divided along class lines--namely those who have class, and those who proudly prefer trash. Susan Tyrrell, Polly Bergen, Iggy Pop, Ricki Lake, and Traci Lords co-star; John Waters directs. Rent (2005) Based on Puccini's opera La Boheme, this musical adaptation of the off-Broadway play that became a pop culture sensation centers on a batch of modern bohemians, striving to create art, find love, and cope with drug-addiction and AIDs in New York City. Anthony Rapp, Adam Pascal, Rosario Dawson, Idina Menzel, Tracie Thoms, and Taye Diggs star; Chris Columbus directs. Schmidt and Jenko are back on the scene, undercover and looking to bust a dangerous drug ring that has infested a local college campus. But the leap from high school to college means big changes for the partners, including jealousy, new love interests, and sneering roommates. Channing Tatum and Jonah Hill star; Phil Lord and Christopher Miller direct. Read our review here. As Nick Offerman has teased in 22 Jump Street's trailers, 21 Jump Street was a comedy that many suspected wouldn't work. TV spin-offs are often accused of being lazy cash grabs, but sometimes they spin into something great. Revel in TV-inspired movies done right with this trio that boasts bone-headed public access stars, a goofy but loveable family, and some All-American heroes. Wayne's World (1992) Mike Meyers and Dana Carvey spun their most popular Saturday Night Live characters into a wild new adventure where Wayne and Garth are offered the chance to take their Milwaukee public access show to the next level. But can they trust the slick TV producer (Rob Lowe)? Tia Carrerre and Laura Flynn Boyle co-star; Penelope Spheeris directs. The Addams Family (1991) Inspired by the macabre 1960s television show, this family comedy follows the adventures of a clan that is creepy, kooky, mysterious and loads of fun. The Addams family is wealthy and content, but missing a member since Fester went missing years ago. Their crooked accountant plans to exploit this loss to weasel money out of the affluent Gomez Addams. And he thinks he's found the perfect imposter. Anjelica Huston, Raul Julia, Christopher Lloyd and Christina Ricci star; Barry Sonnenfeld directs. G.I. Joe: Retaliation (2013) 22 Jump Street and this action-packed title have a lot in common. Both are based on popular programs from the 1980s. 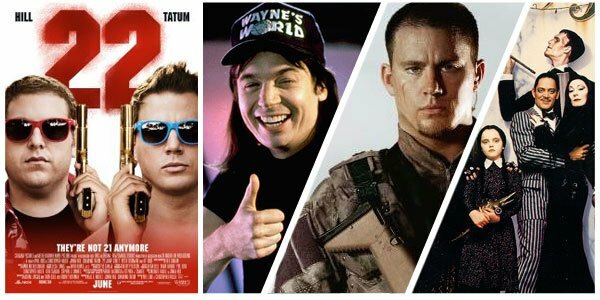 Both are sequels, and both star Channing Tatum. In this one, Tatum plays a soldier in an elite anti-terrorist force dedicated to defeating the villainous intentions of Cobra. But when the team is framed for treason, their battle goes underground, primed for a major showdown. Dwayne Johnson, Jonathan Pryce, Byung-hun Lee, Bruce Willis and Ray Stevenson co-star; Jon M. Chu directs. Hiccup and Toothless are back, flying high over the Viking village of Berk and beyond, where dragons are at the center of a major conflict between a mysterious dragon rider and a deadly dragon poacher. Jay Baruchel, Cate Blanchett, Gerard Butler, Craig Ferguson lend their voices; Dean DeBlois directs. Read our review here. With a guiding hand from celebrated cinematographer Roger Deakins, How to Train Your 2 boasts incredible shots, fascinating frames, and uncanny action sequences. For more animation that is as awe-striking as it is entertaining, we'd suggest these titles, which each offer something daring and unforgettable. The Triplets of Belleville (2003) Heralded French writer-director Sylvain Chomet earned two Academy Award nominations for this hauntingly beautiful animated drama that is nearly wordless, save for its Oscar-nominated song "Belleville Rendez-Vous." Its story follows grandmother who is dedicated to rescuing her grown grandson who was kidnapped during the Tour de France. Helping her track him down is her dear dog Bruno and a trio of sisters who decades before where celebrated singers. Michele Caucheteux and Jean-Claude Donda lend their voices; Sylvain Chomet directs. Cloudy with a Chance of Meatballs 2 (2013) Another charming sequel from a celebrated kids' movie, this adventure picks up moments after Cloudy With A Chance of Meatballs left off. When his hometown becomes overrun by animal-food hybrids like shrimpanzees, tacodiles and jellyfish sandwiches, Flint Lockwood and his friends must trek through its tasty wild lands to shut down FLDSMDFR machine and save Swallow Falls. Bill Hader, Anna Faris, James Caan, Will Forte, Andy Samberg, Benjamin Bratt, Neil Patrick Harris, Terry Crews, and Kristen Schaal lend their voices; Cody Cameron and Kris Pearn direct. Adventure Time (2010) Come on join your friends! This cartoon series appeals to kids with its silly humor and zany characters. But as you dig into the saga of Jake The Human and his best friend/brother Jake The Dog, you'll see there's something more sophisticated, surreal and engaging that fascinates more mature audiences as well. Dive in. Meet Lumpy Space Princess, Princess Bubblegum, The Ice King, Marceline, and a wide and colorful cast of characters, and you'll see what the fervor is all about. Seasons 1 and 2 are now streaming. Jeremy Shada, John DiMaggio, and Tom Kenny lend their voices.